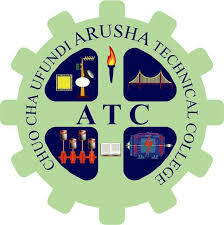 The Arusha Technical College (ATC) is an autonomous institution established by the Government Notice No. 78 of 30th March, 2007 that replaced by then Technical College Arusha that existed since 1978. The vision of ATC is to be a premier provider of demanddriven Training, Research and Consultancy through Science, Technology and Innovation (STI) for sustainable development. vi. To supervise field practical’s, undergraduate special projects; and 9 vii. To perform any other duties assigned by relevant authorities. PhD and Master’s Degree in Computer Science or Information Technology and its equivalent from recognized institutions. A GPA of at least 4.0 out of 5 in Master’s Degree and a minimum GPA of 3.8 out of 5 in Bachelor Degree or its equivalent. PhD and Master’s Degree in Electrical Engineering or Biomedical Engineering or Electrical and Automation Engineering or Electronics and its equivalent from recognized institutions. Certificate in teaching or teaching experience or Biomedical Experience would be an added advantage. 6.2.3 REMUNERATION: An attractive remuneration package will be offered to successful candidates.